Personal Diary Can Write Upset in Canadian Stakes: Despite social media accounts under racehorse names, horses cannot write, although Personal Diary’s name certainly fits a four-legged writer. In the Canadian (GII) at Woodbine Racetrack on Sunday, Personal Diary can win and generate a few positive articles. 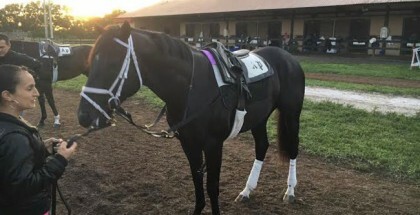 If the four-year-old filly learned how to type, she could also offer few choice words about her last race in the John C. Mabee (GII) at Del Mar. No hole opened up in the lane, leaving all the ground saved wasted. 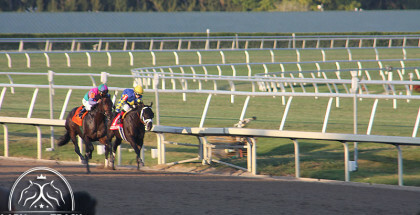 In turf racing, running on the inside path for the first half of the race normally benefits the horse. The inside trip offers a ground-saving path without the hassle of dirt kicked into the horse. But, it leaves the horse vulnerable to staying trapped on the turn for home. The previous races on Personal Diary’s record are solid enough. Plus, her two seventh-place finishes are somewhat explainable. In the Mint Julep Handicap (GIII) at Churchill Downs, only one of the pace horses quit. Three starts back in the Distaff Turf Mile (GII), the early pacesetter Tepin ran uncontested on the lead, and took the field through an opening half in 48 seconds, for a one mile race. Personal Diary began to move well from the outside towards the end. Forgive the two misfires. Four races ago, Personal Diary finished less than a length behind Hard Not to Like, who would be favored in this race. Likewise, going back one more race, she ran on even terms with Lady Lara. Personal Diary owns some talent. She just needs to learn the art of winning, and given her young age, there is time. In addition, her only off-the-board finish at nine furlongs came in the John C. Mabee. Hopefully, Joe Talamo saves ground from the inside post position and finds a seam turning for home. If Personal Diary wrote about her biggest fear in the Canadian though, the entry might focus on Hoop of Colour, who is campaigned by the same people behind Main Sequence. Hoop of Colour offers a more clear class advantage to bettors. She won the Santa Ana Stakes (GII) at Santa Anita Park back in March over a field including Testa Rossi, Rosalind, Diversy Harbor and Queen of the Sand. In addition, Hoop of Colour shows a sparkling record with three wins out of five starts, and no finishes worse than fourth. She won in Europe, demonstrating versatility. Of course, there is little chance bettors fail to see Hoop of Colour’s obvious talent and familiar connections. 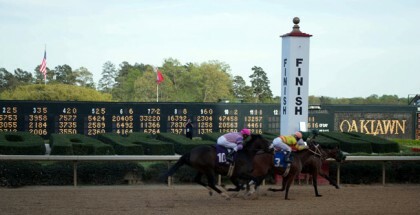 Profitable gambling involves finding a horse the public overlooked, and that has a realistic chance to win. Hoop of Colour fits the latter category, but the public will notice. From the far outside, Overheard has a decent shot in this race as well. While many of these contenders are based in Woodbine and stay there, Overheard tends to ship a lot for trainer Malcolm Pierce. Just this year, she traveled to Arlington Park and Keeneland. Two years ago, she won the Valley View (GIII). As for Woodbine success, she took the Dance Smartly (GII) last year. Last, but not least, Ticking Katie ships in from New York for trainer Brian Lynch. Her recent loss at Saratoga Race Course comes with little excuse. Still, she enters the Canadian with Lasix for the first time and, as a former European-based runner, holds useful experience on soft turf. The Canadian lacks a superstar. 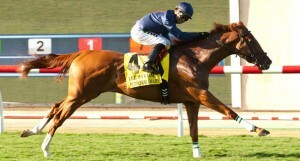 Regardless, the winner receives a spot in the Breeders’ Cup Filly and Mare Turf (GI), this October at Keeneland. For bettors, the lack of an unbeatable turf star is great. It gives them an opportunity to pick a longshot with a chance to win. Personal Diary, even though a former graded stakes winner, will turn off bettors with her win record. Consider Personal Diary, be aware of Hoop of Colour’s raw talent, and throw Overheard and Ticking Katie into the mix.